It’s not enough to bring two conflicting sides into a room for a few hours; they have to live together. In the fall of 2003, the Israeli-Palestinian conflict exploded on my campus when the Palestine Solidarity Movement (PSM) held its annual North American conference at Rutgers. PSM is a nationwide organization that advocates “an end to the Israeli occupation of Palestine” and seeks to achieve this end through divestment from the State of Israel. As the daughter of an Israeli, I already had a heightened sensitivity toward the issues around the Israeli-Palestinian conflict. As the date of the conference neared, tensions flared between the Israeli/Jewish and Arab/Muslim communities on campus. I witnessed daily screaming matches among students, mock checkpoints, “apartheid walls,” and even pie throwing. In mid-September, when Natan Sharansky, former Israeli Minister of Jerusalem and Diaspora Affairs, came to speak at Rutgers, he was actually pied in the face by an anti-Israel protestor before his address. Civilized discourse: gone. Seeing all this hostility between Jewish and Muslim students, I sought refuge at Rutgers Hillel. During the second semester of my freshman year, I became Vice President of Religious and Ritual Affairs on the Rutgers Hillel Student Board. In this position, I had to reconcile the needs of the Orthodox, Conservative, and Reform communities. It was my first foray into intense conflict resolution. Soon after being elected to the position, I convened a group of student leaders from each religious denomination under the Rutgers Hillel umbrella. Together, we devised solutions to difficult religious conflicts: Could a woman make the blessing over the wine on the Sabbath? Was mixed dancing allowed on the Jewish holidays? Trying to balance the needs of three very different religious communities emboldened me to take on a new challenge: to apply the problem-solving skills I acquired at Hillel to the conflict between Jews and Muslims at Rutgers. After organizing several dialogue sessions for Jewish and Muslim students, I realized that my approach was superficial. Sporadic discussions could not provide sufficient reinforcement or create a meaningful context for substantial conversations to take place. A “safe space” needed to be created in which members from both groups could sustain an ongoing dialogue about the Israeli-Palestinian conflict. Since the most intimate environment on a college campus is the dormitory, I resolved to create a living-learning community for Israeli/Jewish and Arab/Muslim women on the Douglass College campus. Before presenting such an initiative to the Rutgers administration, I first had to ensure commitment from both groups. I convened a series of meetings in early 2004 in which Jewish and Muslim student leaders discussed the project and our ability to attract participants from within our own communities. As a group, we decided to go forward. After the administration endorsed the program in the spring of 2004, my biggest challenge was to recruit a dozen women to live in the house for a year. Muslim women often asked me whether the project was credible, and even when I was able to convince them that it was, they still had to persuade their families to let them live on campus. For Orthodox Jewish women, living in the house presented two major problems. It was far from the synagogue and there was no kitchen in the dormitory to accommodate their kosher diet. Despite these obstacles, I managed to find a cadre of women who were open-minded and committed enough to risk living in such a potentially divisive environment for an entire school year. And so the Middle East Coexistence House was born. The house was founded with two goals in mind: to bridge the gap between Israeli/Jewish and Arab/Muslim students and to encourage women’s involvement in international conflict resolution and negotiation. In addition to the residential component, I felt that, in order to create a sufficient historical context for the experience, residents had to learn more about the Israeli-Palestinian conflict. I approached two professors who agreed to create a curriculum for a course on Middle East Conflict Resolution and Negotiation. In order to demonstrate to residents that peaceful coexistence is not only a possibility, but also a reality, I arranged a fully funded trip to Turkey in 2007, which was subsidized by the Interfaith Dialogue Center and the Karma Foundation. During this ten-day period in Turkey, we’d explore the historic coexistence among the Jewish, Muslim, and Christian communities by visiting places of worship, meeting with religious leaders, and spending time with local families. To measure the success of the Middle East Coexistence House, I researched the evolution of the residents’ attitudes toward the Israeli-Palestinian conflict throughout the year in my senior thesis. After becoming certified in human subjects research, I administered two written surveys and conducted interpersonal interviews with each resident. Upon analyzing the data, I noticed that more women were gravitating towards the center of the political spectrum. In the beginning of the year, most women were aligned along ethnic and religious lines. As the year progressed and the dialogue increased, the initial polarization became much less apparent. Another interesting outcome was that most residents left the house with a heightened interest in careers in government, journalism, and education—areas that could enable them to influence public opinion. As I look back . . . The Middle East Coexistence House has since been institutionalized at Rutgers University and has continued this year with sixteen residents. Since graduating from Rutgers last May, I have been mentoring my successor, Samantha Shanni. Samantha, this year’s student coordinator, has been continuing our mission by fostering a nurturing, collaborative, and supportive environment for her residents. I am extremely proud that the house continues to thrive at Rutgers and that others are able to realize its value and its necessity. In addition, the house model is being replicated at the International Christian University (ICU) in Tokyo for Japanese, Chinese, and Korean students, three communities with a history of hatred. In June 2007, two former residents and I traveled to Tokyo to conduct workshops for ICU students, faculty, and administrators about our emotional, intellectual, and spiritual journeys during our year in the house. At first, the Middle East Coexistence House was a risky investment. Despite hours of meticulous planning, I was still unsure how my experiment in coexistence would unfold. After we overcame the awkwardness inherent in all new living situations, we began to let down our guard and get to know one another. I remember the incredible joy I experienced each time I walked into the hall and observed even mundane interaction among my residents. The fact that we had proven to our community that Jews and Muslims could not only get along, but also live together and prosper, was an extraordinary thing. Even though I am no longer living in the Middle East Coexistence House, I will forever cherish the experience. It is a mark I am happy to leave on the Rutgers community. No matter how small the seed, I hope this initiative will continue for many years and help groom a new generation of leaders—one that values coexistence and understands the ability of a few passionate women to change the world. In May 2007, Danielle Josephs graduated salutatorian of her senior class at Rutgers University. She received a BA in political science and Middle Eastern studies. 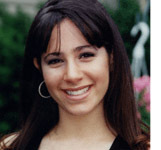 Because of her work in the Jewish community and commitment to coexistence work, Danielle was selected by Hillel International to meet with President Bush and thirteen other Jewish leaders in December 2006. Through her work with the Middle East Coexistence House, Danielle has realized her goal of becoming a Middle East negotiator and policymaker. Next fall, she will be starting law school and plans to concentrate in international law.